With summer just around the corner, planning the perfect beach getaway in Europe can be tricky. If you are like us, you don’t want to go to just any old boring beach. From towering cliffs, to shipwrecks, to hidden lagoons, check out our list of the Europe’s most unique beaches. 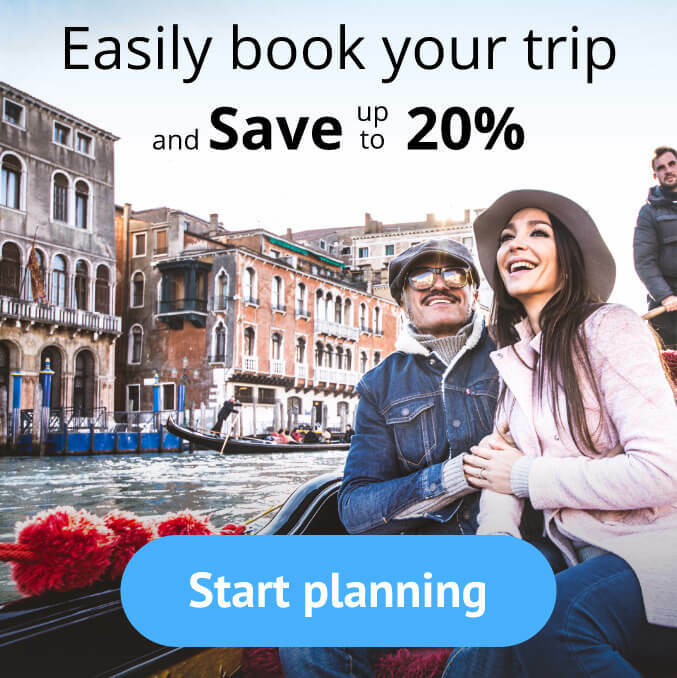 And that’s why using our European trip planner tool is the best way to plan the perfect vacation! Plan a trip to Spain and get a beach experience unlike any other in the world! 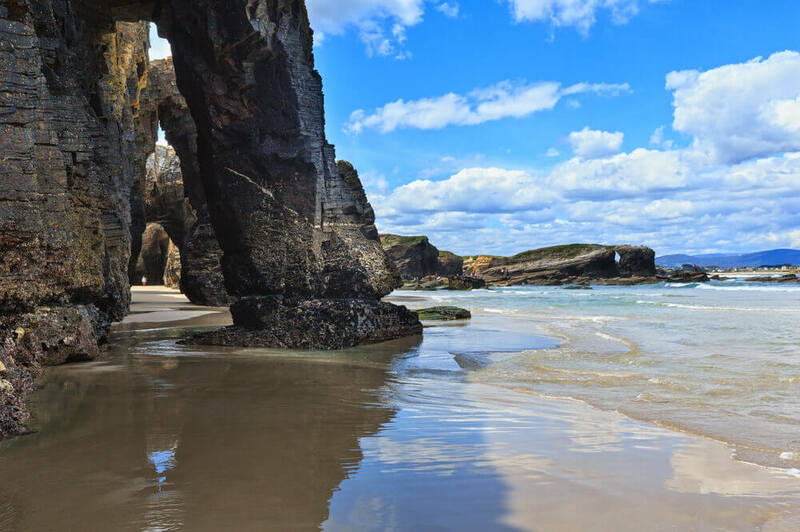 Thanks to years and years of erosion caused by the sea crashing into the cliffs, arches and caves have been formed along the shores of this beautiful Spanish beach. Wander along the shores, admiring the towering cliffs and exploring the caves for an exciting beach getaway. 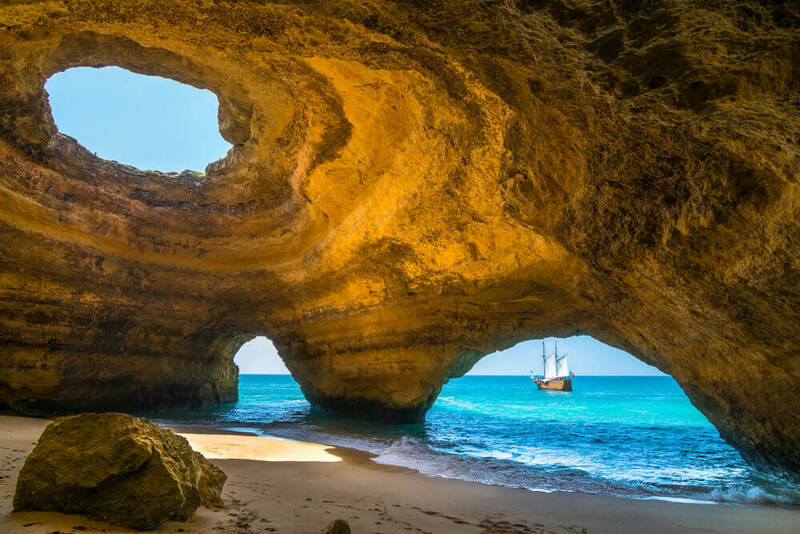 In a country known for its breathtaking beaches, Benagil Beach is particularly special, and it would be great considering to visit there when organizing a road trip to Portugal. Massive golden cliffs flank this pristine Portuguese beach and offer sunbathers protection from the wind. 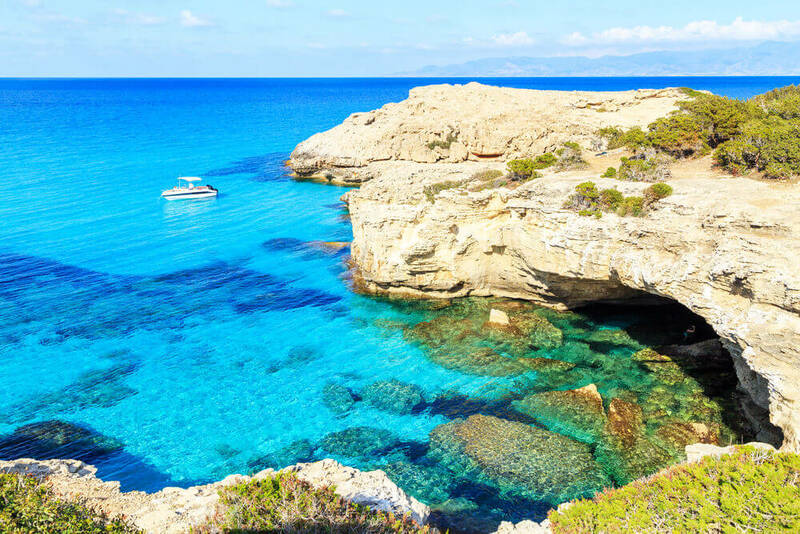 Visitors enjoy relaxing on the white sand, watching the colorful fishing boats, swimming in clear blue water, and exploring the incredible sea caves, particularly the Algar de Benagil. 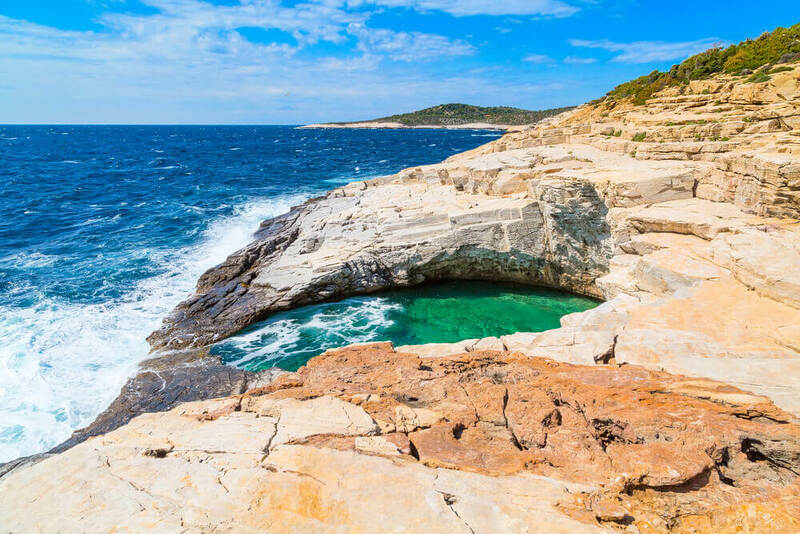 Although the beach itself is no longer accessible to tourists, visitors often take boat rides to see this unique Italian beach up close. It is known for its pink tinted sand, colored by shells and red coral. Thanks to volcanic eruptions in the area, Iceland is home to numerous black beaches. You’ll feel like you’ve landed on another planet as you stroll along the black basalt “sand” of these breathtaking beaches. Vik Beach is often considered one of the most beautiful beaches in the world. The black beach is lined with stacks of basalt rocks which resemble jagged cliffs. According to legend, these stacks are trolls that got caught in the sun. The beach is also home to several species of bird, and if you’re lucky you can spot some puffins too! 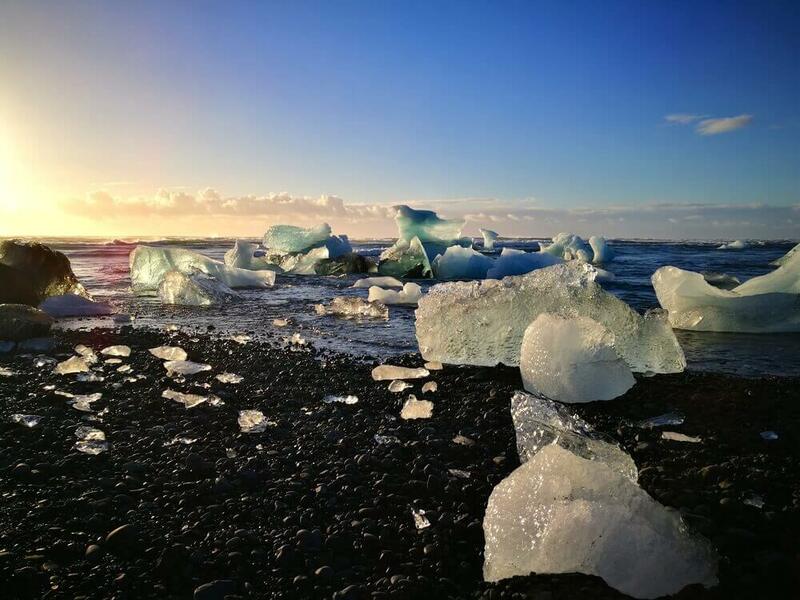 In a country known for its breathtaking scenery, Jökulsárlón Lagoon manages to stand out as one of Iceland’s most beautiful attractions. Jökulsárlón is a glacial lake lined with black sand, situated next to Vatnajökull, Europe’s largest glacier, whose melted waters flow into the lake. Chunks of fallen glacier lay scattered across the black beach, and glacial melt is making the lake bigger. Due to this phenomenon, the unique landscape is constantly evolving, making it the perfect place for a truly special beach getaway. 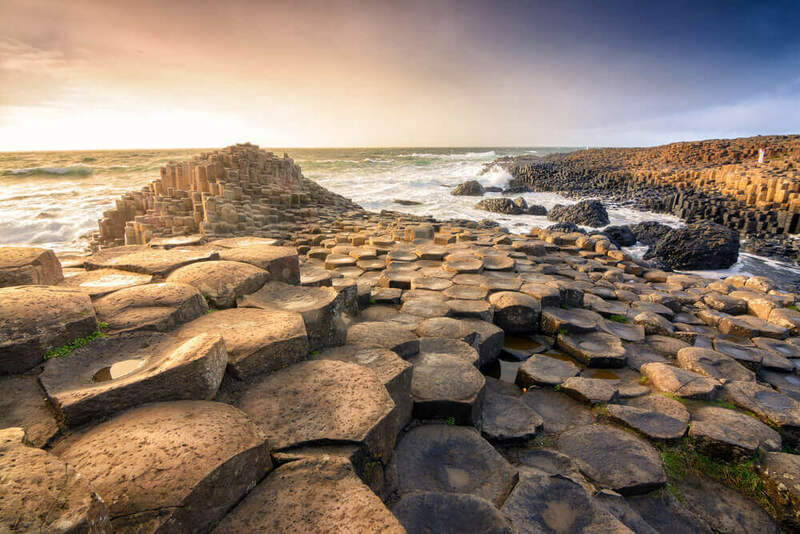 One of the world’s most unique beaches, Giant’s Causeway has another worldly feel to it. 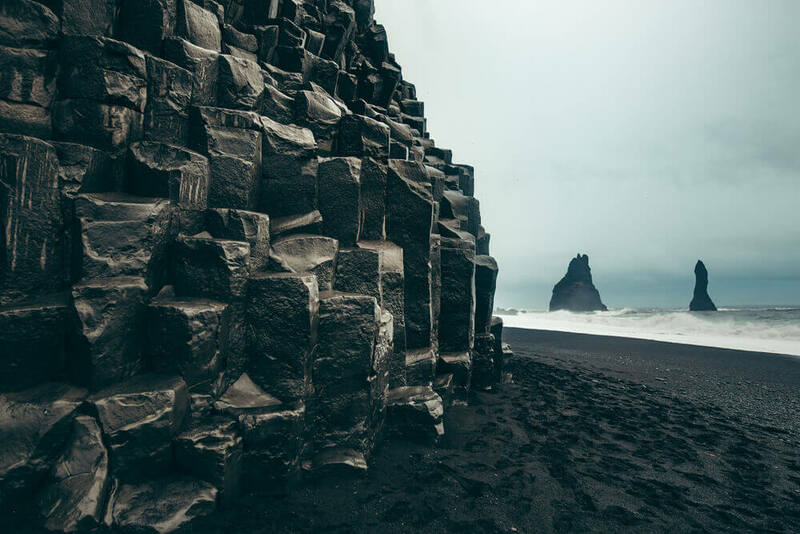 Due to an ancient volcanic eruption, 40,000 interlocking basalt columns make up the puzzle-like landscape! If you aren’t satisfied with a scientific explanation for this remarkable phenomenon, the locals will gladly tell you how they believe the landscape was formed. According to legend, giant Fion mac Cumhail built a causeway in order to go fight an even bigger giant in Scotland. Different versions of the story have different endings, but each and every visitor may decide for themselves what they believe about its formation! Beach-goers barely notice the clear blue water and the pebbled shores; they are too enamored by the towering white cliffs overlooking the beach. Interesting arches and shapes have been carved into the cliff by the sea after millennia of erosion. The beach gets its name from one of these formations, an arch that resembles a large white elephant. The image of a perfect beach, this sheltered lagoon is a paradise. Snorkel along the sandy bottom to see the thriving marine life, enjoying the warm water that sometimes reaches as high as 85 degrees Fahrenheit. When you’re done, kick back and enjoy the surrounding views and the mesmerising clear turquoise water. This long and narrow stretch of beach is actually a massive sand dune, home to a national park. 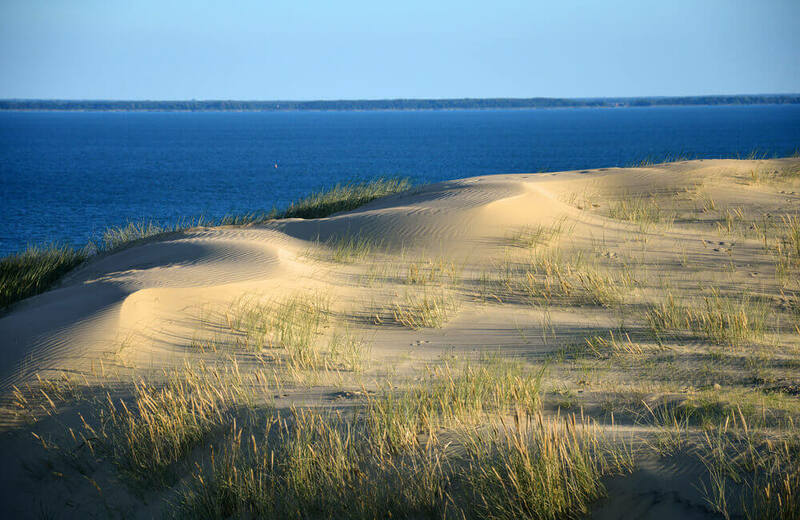 Visitors enjoy climbing the Spit’s dunes, some of which reach as high as 60 meters. In addition to its unique natural features, the Spit is also home to numerous interesting houses and historic buildings. 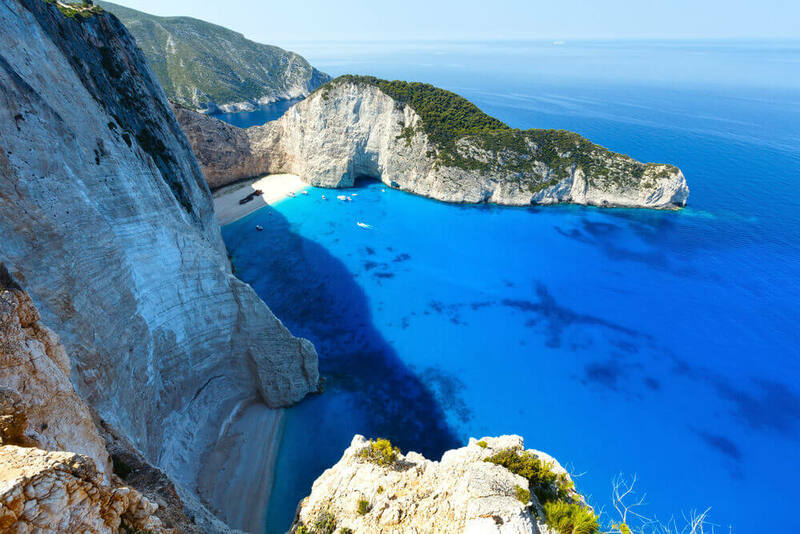 When you hear “Greece,” one of the first things that comes to mind is probably “beaches.” Among the thousands of perfect beaches of the Greek islands, Navagio Beach, or Shipwreck Beach, surely stands out. 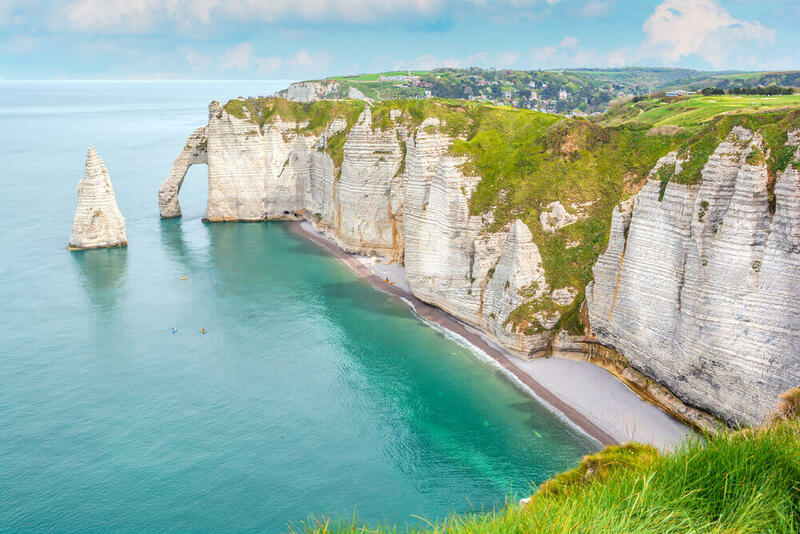 Surrounded by towering cliffs, visitors must take a boat to reach the beach. Relax on the warm sand, swim in the clear sea, and check out the actual shipwreck that crashed here in the 1980s. If you want a higher view of the beach, you can hike up to one of the viewing platforms. 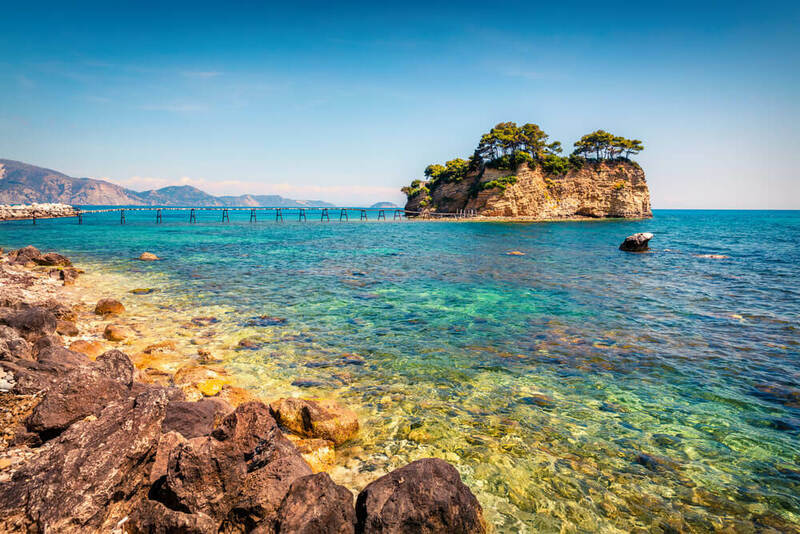 How can you pick just one beach in Greece? Another truly unique beach, Giola is a natural sea lagoon carved into the cliffs by years of erosion. Visitors need to hike along the rocky landscape to reach this pool, and can dive into the clear water from rocks reaching as high as 8m. So, where will you be headed to this summer for your beach getaway? From towering cliffs to shipwrecks and hidden lagoons, check out our list of Europe's most unique beaches. Start planning your beach getaway today! This design iss incredible! You certainly know how to keep a reader entertained.